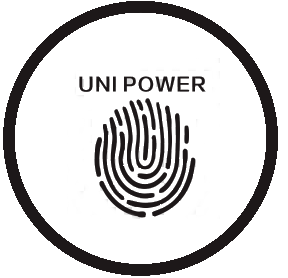 Uni Power Uni power was founded in May , 2012 . At that time, Uni power was one of the first companies of its kind in China. Due to our team's efforts and qualified services, we set the industry standards and become China's Recruiting service leader. Uni Power , directed by Experienced recruiters and placement counselors have placed hundreds of teachers throughout the years. Hundreds of schools from different cities all over China have stayed very stable cooperation with Uni power on curriculum development , teachers recruitment and teaching skill training . Welcome to login our official website www.szunipower.com and get more details . UNIPOWER is located in Shenzhen, providing professional training and well-matched teaching position for all chinese and foreign friends. Due to our outstanding experience, our teachers work in different centeres all over china, such as Beijing, Shanghai, Shandong, Dongguan, Zhuhai, Huizhou and Zhejiang etc. UNIPOWER is located in Shenzhen, providing professional training and well-matched teaching position for all chinese and foreign friends. Due to our outstanding experience, our teachers work in different centeres all over china, such as Beijing, Shanghai, Shandong, Dongguan, Zhuhai, Huizhou and Zhejiang etc. UP to 15K-17K RMB (2100+USD ), Teaching English in Training Centers in Shenzhen, Native Speakers Required! Full-time Only! Start ASAP! @@@@@@15000-17000RMB Monthly for Urgent Need Native ESL teachers in Shanghai, Teach English in Language Centers. @@@Amazing job in Foshan, 14000-18000RMB Monthly to Teach in International Training Schools. Good BONUS With FREE Apartment. Immediate Start! @@@@@@15K-17K RMB for Hiring Full-time English Teachers in Changsha, Free Housing Provided. Welcome to Contact! ESL Teacher Needed to Teach Young Learners English with High Salary, Free Accommodation, and Visa Assistance in Qingdao. Good Qualifiactions Required. Great Teaching Job in Wuhan, A Famous City in China. 15-18K(2100+USD) Monthly Salary, FREE Good Apartment Provided. Experienced Teachers Preferred. 14K-18K RMB Paid Teaching Job in a Coastal City -Xiamen English Training Center, Start Immediately, FREE Comfortable Accommodation Provided. Yunnan Province, Kunming City, Nice and Warm City, Need Good English Teachers, 15-17K RMB, Provide Free Housing and Great Benefits. Popular Teaching Positions in Training School. Welcome to Contact. Locations Varied. 14000-18000 RMB Monthly Offered. SSSSSSSSSSSSShenzhen, 15000-17000RMB, wanted in 2019. Popular Teaching Positions in Training School. Welcome to Contact. Locations in shenzhen. 15000-18000 RMB Monthly Offered. Native ESL Teachers Needed in shenzhen, Experienced Preferred. 14K-18K, Free Nice Apartment with Good Monthly Pay. ASAP! Welcome to Contact Us. Reliable job offer in SOUTH OF CHINA! Warm weather and advanced development, DON'T BE HESITATE! Good BONUS With FREE Apartment, Immediate Start 14000-18000RMB. Your first trip to CHINA!14K-18K RMB for Hiring Full-time English Teachers in wenzhou, Free Housing Provided. Welcome to Contact! DON'T BE HESITATE, RELIABLE JOB OFFER IN CHINA!14. With Good Qualifications. Nice Bonus and Free Accommodation. Work in a young beautiful coastal city SHENZHEN, neighbouring to HK. Good team and benefits. Native speakers required. Full-time ONLY! Reliable Job Guide in China. Free Nice Apartment with Good Monthly Pay. ASAP! Welcome to Contact Us. Come and See. Cities with varies chinese culture, FREE Good Apartment Prvided, Working & Enjoying! Comfortable life pace in Chengdu, panda base. Full-time Teaching Job Opened to Candidates With Good Qualifications. Nice Bonus and Free Accommodation. Good Offer to Native Teachers in zhuhai, Located in Guangdong, Free Nice Apartment. Good Bonus and Salary. Good teaching offer in Dongguan, FREE nice apartment. 15-17K RMB Salary. Native Speakers Preferred. Start SOON. Come to work in Wuhai city with great culture. ESL full-time. 15k-17k RMB. Free Furnished Apartment Offered. Enrich your life and work experience in Changsha, Southern China. Housing povided. 14K-18K. Only need Full-time ESL teachers with GOOD pronunciation. life could be many possibleï¼Start from here ASAP. Full-time Teaching Vacancies in Zhuhai, Z-visa Provided. Cool Offer in South of Chinaï¼Native ESL Teachers Needed in zhuhai ASAP! Welcome to Contact Us. Accommodation provided, Visa support, Medical & accident insurance, Paid holiday. Find your real occupation career Here. Don't be afraid ! stride forward to the life you want. Teach English in Language Centers. FREE Good Apartment and Visa Assistance Provided. Reliable is the most important! Beautiful Coastal City with a Teaching Job in xiamen. Peaceful city and nice working environment in xiamenï¼Work in a training schoolï¼Native Speakers Required. ASAP! Never Lose the Opportunity to Succeed. Build up your life career in China!ESL Teachers Needed in sichuan. Your First advanture in China! The city next to HK & Macau, Full-time ESL Teacher Wanted, FREE Nice Apartment Provided! Open to graduates, full-time job in Zhuhai, Native speakers required. nice environment and salary. FREE apartment provided. 14K-18K Monthly Salary, unexperienced candidates acceptable. Good Pronunciation Required. Teach in Shenzhen. New Teaching Position in 2019 Semester, Guangzhou Campus. No Experience Required. Good Pronunciaiton Wanted. Accommodation Provided. 2019-------------WE NEED YOU, ESL TEACHERS IN SHENZHEN, FREE APARTMENT, GREAT BENEFITS ! Dongguang, Guangdong, welcomes you to join ESL teaching team in 2019 ! Nanjing, Jiangsu, ESL Teaching, 15000-18000RMB, great apartment ! Welcome to Wuhan, 15000-18000RMB, free apartment for you ESL teachers in 2019. 2019----------Yunnan Province, Kunming City, Nice and Warm City, Need Good English Teachers, 15-17K RMB, Provide Free Housing and Great Benefits. No Hesitation to apply for a teaching job. 14-18K RMB. No worries about apartment. Pure accent required. vacancy in Foshan. Nanchang wants you. Good Salary, FREE Housing. No experience required. Start in Feburary. Come soon to start your job in Zhuhai, China. with Beach, Tasty Foods. RMB14k-18k. Full-time in Training Centers. Wow. ESL teaching job in Wuhan, welcome new grads. Good bonus offered. Feel free to contact.